Liverpool have agreed a sponsorship deal with Malaysia Airlines in a move intended to grow the club's Asian fan base. Under the partnership, Malaysia Airlines will be exclusively designated as the “Official Global Airline Partner" of the Anfield club, with players and former players to be featured as ambassadors in future campaigns. Malaysia Airlines' branding will also feature on LED and static advertising boards around Anfield, and the airline will receive additional marketing exposure via the club's website and social platforms as well as co-branding opportunities in merchandising rights and customer engagement via experiential experiences. The deal will also allow Liverpool to increase its presence in Asia through football clinics where club international academy coaches will deliver coaching and coach education programmes both on and off the pitch. 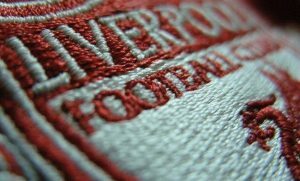 It's the latest sponsorship deal between Liverpool and Asian brands, following its PES 2017 deal with Konami and an e-commerce deal with JD.com.